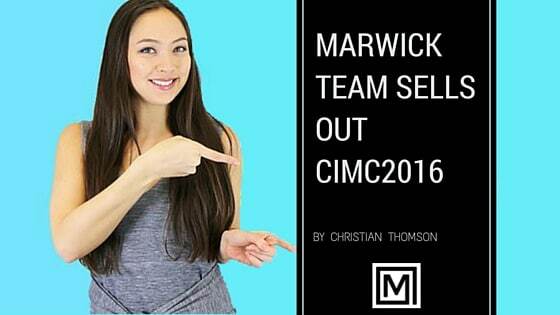 Well done to our awesome Marwick Marketing team, who alongside Jelly Marketing and Brix Media have sold out the 2016 Canadian Internet Marketing Conference. A staggering 680 people have registered for the digital marketing event, all ready to listen to speakers from Disney, Google, Telus, WestJet, Starbucks, Twitter, Yelp and many more. With still two weeks to go this digital marketing conference is fast becoming the go-to event in marketing on the west coast of Canada. Check it out www.digitalbuzz.ca – stay tuned for more updates as we get closer.